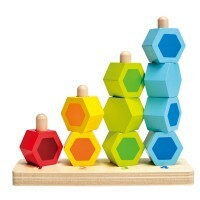 Brightly colored quality stacking wooden shapes from Melissa and Doug provide multi-fun-ctional play for your child. Ready! Stack! Learn! 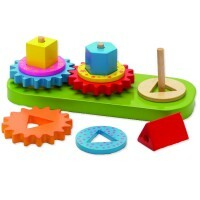 Brightly colored quality wooden shapes provide multi-fun-ctional play for your child. 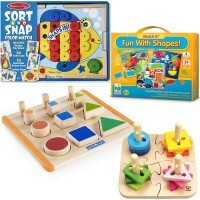 Stack & Sort Board 15 pc Wooden Learning Toy is a novel shape sorter by Melissa & Doug. 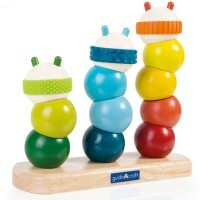 The stacking toy offers a variety of colors, shapes, and opportunities for learning. 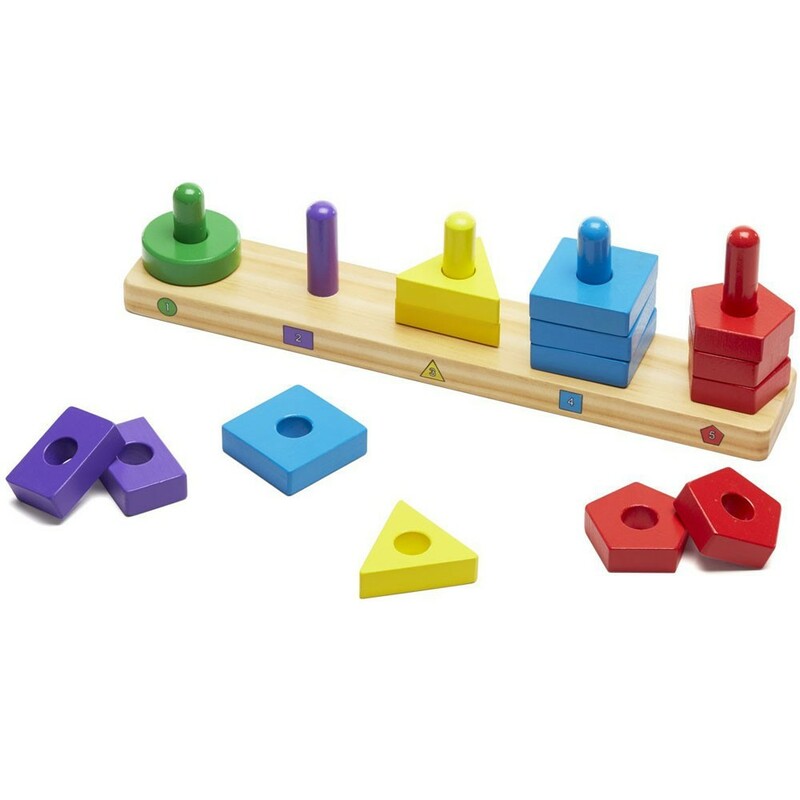 Stack the shapes on the pegged stand in order, mix them up, or create your own games with this comprehensive first manipulative toy! 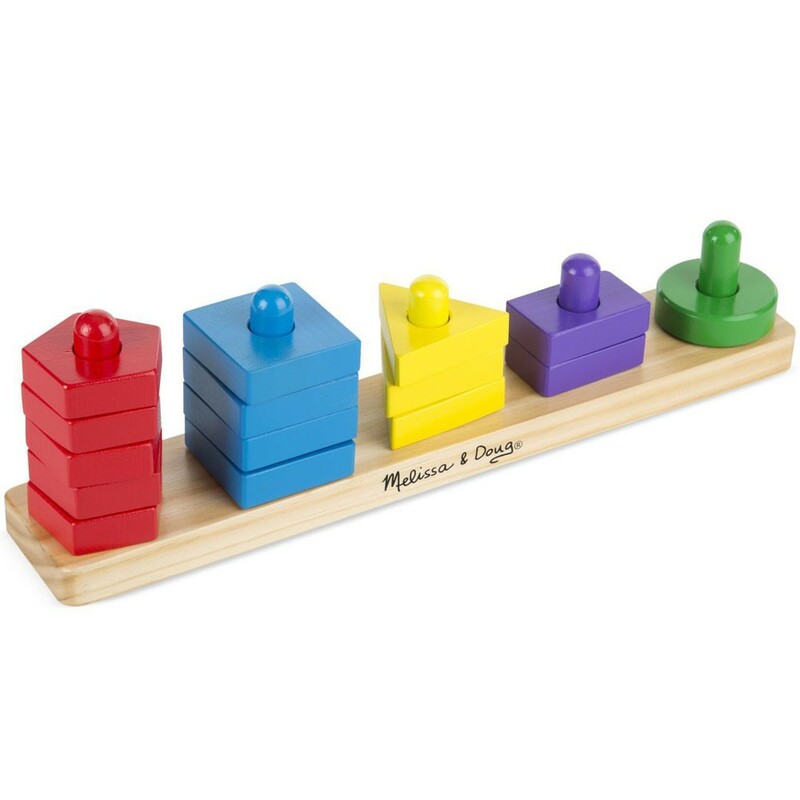 Inspired by Montessori learning method, this activity toy includes 15 pieces to match by shape and color, and solid wooden board coded for easy identification. 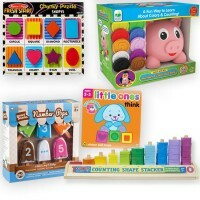 This Educational Toys Planet's learning tools works great to teach tots or preschoolers early counting. 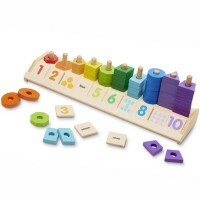 Dimensions of package 2.3" x 13.1" x 3.3"
Write your own review of Stack & Sort Board 15 pc Wooden Learning Toy. Rating: 5 Nice blocks just as shown by Mzhvz Nice and colorful and all the different sizes are good for him to stack different stacks or a big tower. 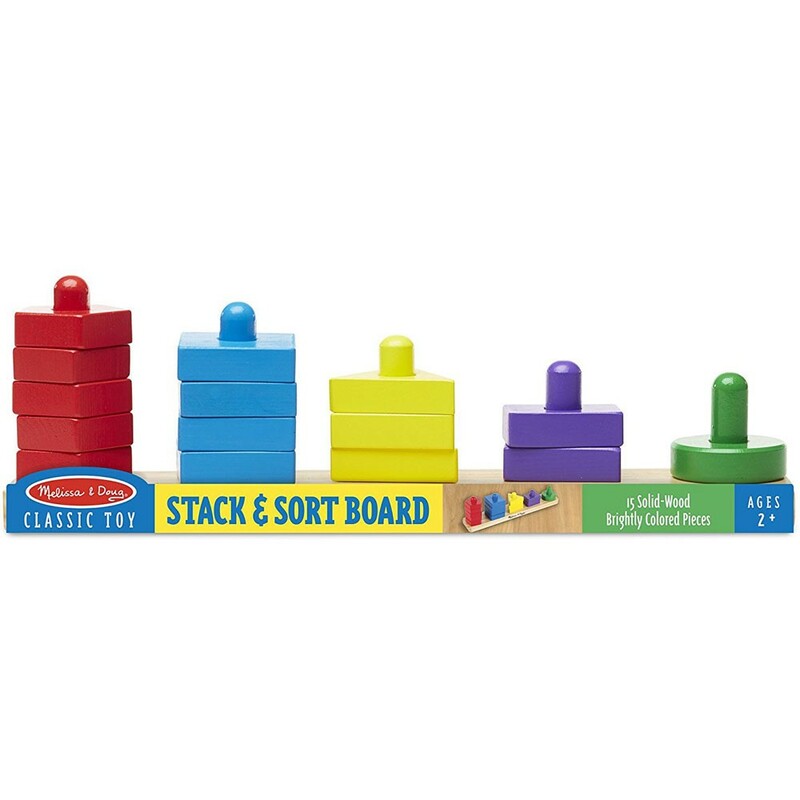 Rating: 4 Great toy by Jessica G Melissa and Doug makes the best toys and this high quality wooden stacking toy is no exception. 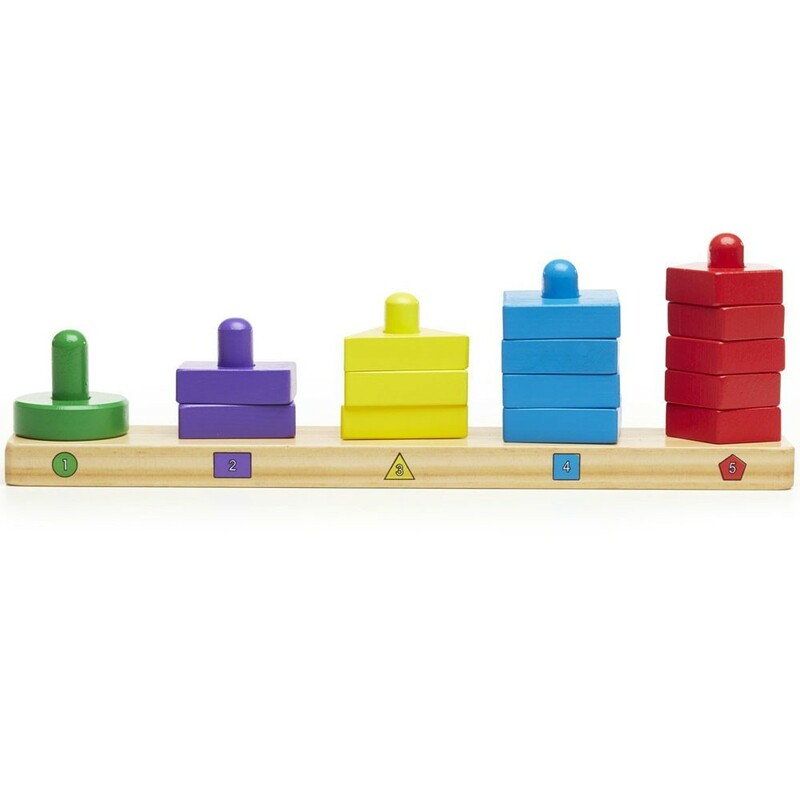 They can practice counting, one to one correspondence, shape recognition, color recognition, problem solving skills, spatial awareness and motor skills all with one, reasonably priced toy! These are the kinds of classic toys that never go out of style because they are always the very best learning tools for small children and they keep kids engaged and excited. 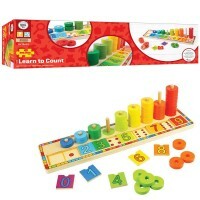 Rating: 5 by Emily, MO Fun and learning toy!! Rating: 4 by Emily, WI I liked that this toy was educational in a few ways. Color matching, shapes and fine motor skills. My daughter of 19 mo figures this out right away and then forgot about it. Would suggest this for a younger age child. 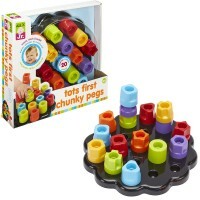 Rating: 5 by Sissy, CA Both my toddlers love this type of puzzle. They specially like the pentagons. Rating: 4 by Elizabeth, UT Love that the toy can grow with the child...different colors, shapes, numbers, counting and recognizing numbers. My daughter loves this! Maybe you could expand this into a small packet with numbers 1-5 flashcards or 5 colored flashcards, etc. Rating: 4 by Soraya, MD I enjoyed this activity.